The United Arab Emirates announced that its forces have done their job in Yemen and that Yemen now needs a political solution to reach a lasting peace. The UAE military has played its part to the fullest and Yemen now needs a political solution to find a lasting peace, the Minister of State for Foreign Affairs, Anwar Gargash, said on Wednesday, reported e-journal the National. The official who was giving a lecture in the presence of Sheikh Mohammed, Crown Prince of Abu Dhabi and Deputy Supreme Commander of the Armed Forces, discussed the difficult choice the UAE made to become involved in the war in Yemen. Other obstacles Yemen faces include the rise of Al Qaeda with the support of the Muslim Brotherhood, the minister was quoted by the National as saying. 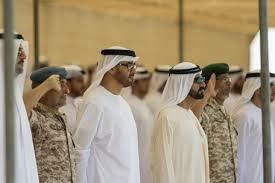 After he applauded the efforts and accomplishments of the UAE Armed Forces in Yemen, part of the Saudi-led coalition, he said the coalition had clear goals that resulted in more achievable victories when compared with other conflicts in Iraq and Afghanistan. The majority of Yemeni land is now under the control of the legitimate government, he said adding that although the UAE would help to rebuild Yemen, and ultimately, “building Yemen is the role of the Yemenis». Written by: Peter Mulvany on June 16, 2016. Last revised by: Jaber Ali, our reviewer, on June 17, 2016. Posted by Peter Mulvany on Jun 16 2016. Filed under Gulf News, Headlines. You can follow any responses to this entry through the RSS 2.0. Both comments and pings are currently closed.